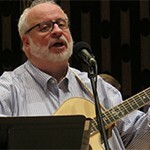 David Haas, renowned liturgical musician and composer of many well-loved hymns, will be offering a master class open to students and special guests on Saturday, September 9, from 10-12:30 p.m., in the Chapel of Christ the Teacher, with a picnic lunch to follow. Free for students, $15 for special guests (includes lunch). Please RSVP by Tuesday, September 5. Haas will also be offering a free concert on Friday evening at 7 p.m. in the Chapel. Co-sponsored by the Garaventa Center and Campus Ministry. For more info or to RSVP: garaventa@up.edu or x7702. The University has announced six honorees who will receive recognition during the undergraduate commencement ceremony on Sunday, May 3, at the Chiles Center. The graduate commencement ceremony will be held on Saturday, May 2. 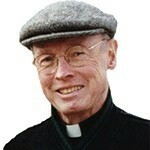 Father William Hayes, S.J. (pictured), will receive the University’s highest honor, the Christus Magister Medal. Fr. Hayes spent his entire professional life, more than 65 years, in Catholic education at Portland’s Jesuit High School, Gonzaga Prep in Spokane, Seattle University, and others before coming back to Jesuit as president in 1984. Anne Fadiman, Yale University professor and renowned essayist, and former editor of The American Scholar and Civilization magazines. Fadiman will deliver the University’s graduate school commencement address. David Haas, director of the Emmaus Center for Music, Prayer, and Ministry, in St. Paul, Minnesota. 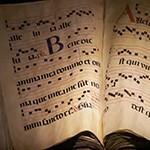 With more than 45 collections and recordings of his work widely used in Christian worship, Haas is one of the most prolific and influential composers of contemporary Catholic liturgical music since the Second Vatican Council. Scott Malpass: vice president and chief investment officer at the University of Notre Dame, is responsible for investment of the university’s endowment, working capital, pension and life income assets. In 2014, Notre Dame’s assets were worth close to $10 billion, making the university’s endowment the 12th largest in American higher education and the largest at a Catholic university. Larree Renda: former executive vice president of Safeway, Inc., and president of Safeway Health, Inc., started her career in 1974 bagging groceries. She is a member of the University of Portland’s board of regents. In 2009, she was named Food Industry Executive of the Year by the USC Marshall Food Industry Management Program. Renda was the 2010 Chair of the California Chamber of Commerce, and in 2001 and 2002 was voted one of the “50 Most Influential Women in Business” by Fortune Magazine. She will deliver the University’s undergraduate commencement address. Walter Urba, M.D, medical director and director of cancer research at the Robert W. Franz Cancer Research Center, Earle A. Chiles Research Institute, at Providence Portland Medical Center, is one of the world’s leaders in working against cancers with immunology. More information about the University’s commencement ceremonies can be found at http://www.up.edu/commencement.